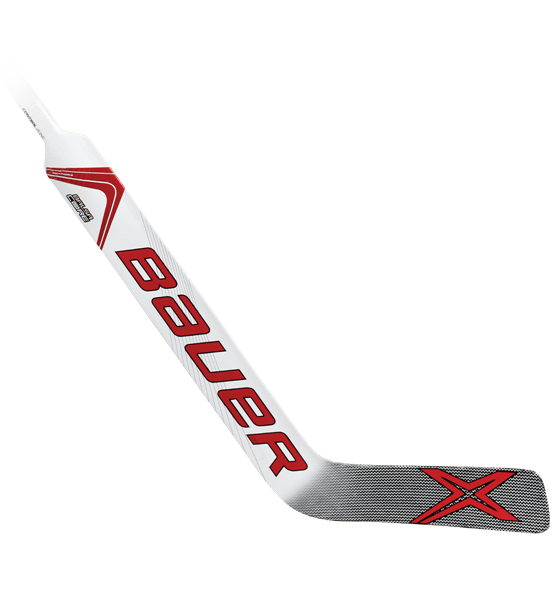 Bauer Vapor X900 Senior Composite Goalie Stick | Sports Etc. Blade: INNEGRA™ reinforced outer wrap. Low density foam for better balance and feel. Paddle: Balsa core technology. Arch paddle construction for optimal balance. Shaft: Composite handle. Control zone with GRIPTAC on shoulder. Double concave geometry for better feel. Sports Etc Performance To Value Rating– 9 out of 10. The combination of lightweight feel and durability have made composite goalie sticks increasingly popular. Good for all skill levels and a tremendous value.